The ICMAB participated on 9, 10, 11 November 2018 at the 40th edition of Expominer, the exhibition of minerals, fossils and jewelry, organized by Fira Barcelona, with some outreach talks given by five of our researchers, workshops in our stand about superconducting materials, minerals, diffraction and photonic materials, and with the exhibition "Matheroes: Supermaterials, heroes of the future". 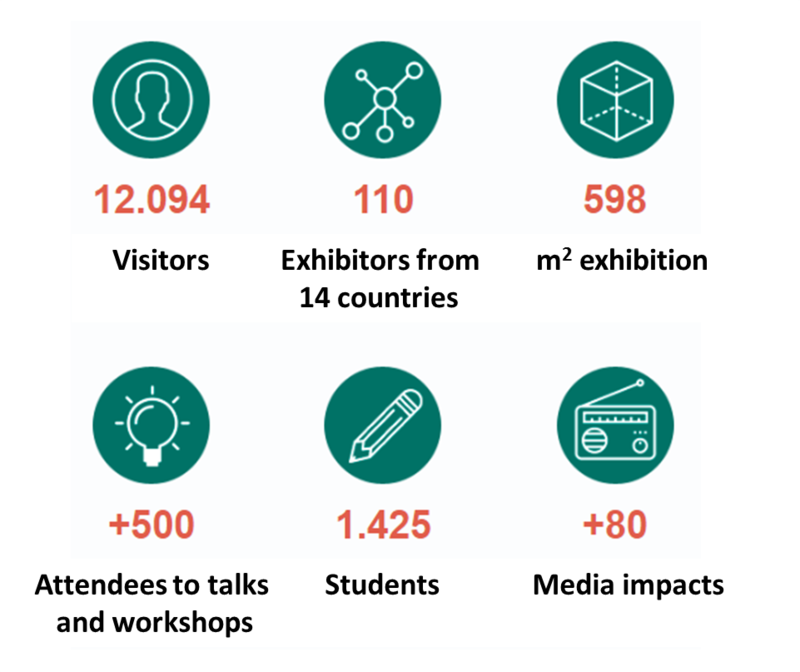 According to Expominer, which highlighted that the science talks and demos had been very popular among the visitors, all the talks and workshops of the exhibition attracted more than 500 visitors, which represents an increase of attendees from last year. The president of ExpoMiner, Prof. "ad honorem" of ICMAB-CSIC, Carles Miravitlles, affirmed "it has been the best way to celebrate the 40 years of Expominer, with a large number of visitors, and specially, with a great success in all the talks and workshops, with which we emphasize our compromise with science outreach". On the other hand, the director of the event, Marta Serra, highlighted "from the organization, we are very happy for this year's edition, specially for the the trust of our exhibitors, that come every year to Expominer, enabling Expomier to continue strengthening its leadership as one of the most important commercial event of the sector, both locally and nationally, and being a reference for the south of Europe." This year, more than 110 exhibitors were present at the event. Anna Crespi and Judith Oró, for the workshops on minerals and diffraction "Build your own crystal", "Learn how to identify minerals", "Minerals in our daily life" and "The fantastic diffraction phenomenon". 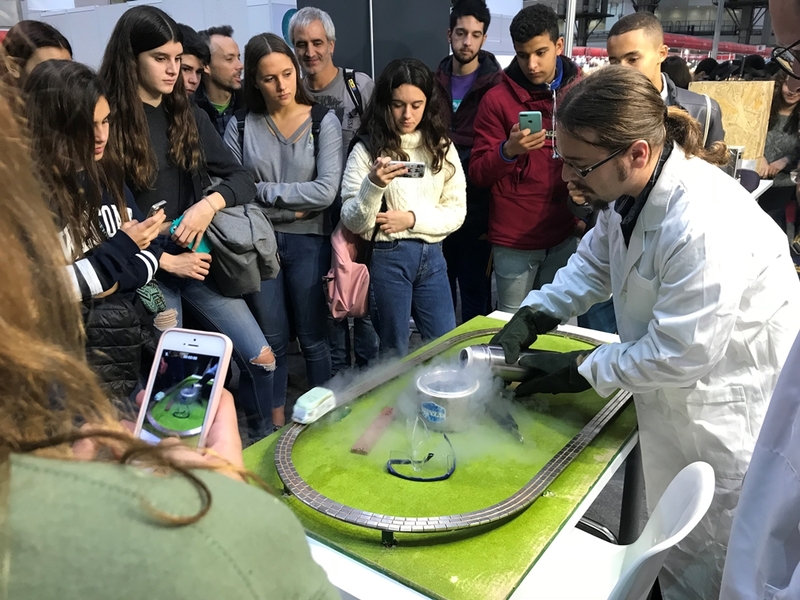 Artur Romanov and Adrià Pachecho, for the science demo on superconducting materials and levitating trains. Juan Luís García Pomar, for the science demo on photonic materials. Clara Viñas, Josep Fontcuberta, Jordi Rius, Martí Gich and M. Isabel Alonso for their didactic and understandable science outreach talks on boron, magnetic minerals, synchrotron diffraction, quartz and optical properties of minerals. Anna May Masnou for the Matheroes exhibition (funded with the collabortion of the FECYT - Ministerio de Ciencia, Innovación y Universidades, and the Severo Ochoa Excellence Project) and coordinating the stand. In 8-10 November 2019, ExpoMmner will celebrate its 41th edition at the Montjuïc Exhibition Center in Fira de Barcelona.